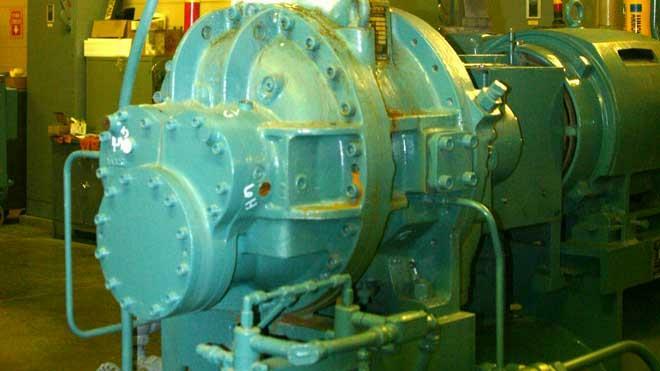 "Our plant often uses standby equipment in several critical applications. 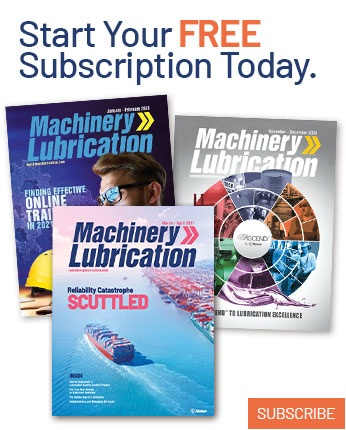 Are there any special lubrication guidelines for this type of equipment that may sit for weeks or months without being used?" 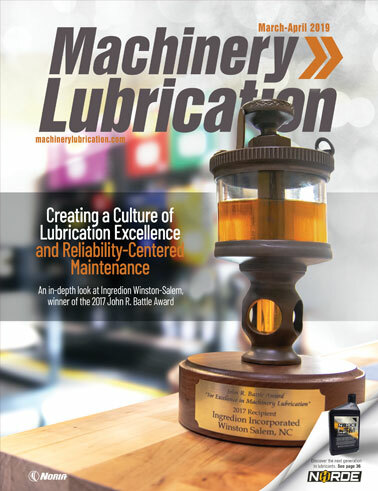 Standby equipment can present a challenging lubrication strategy. Not only can the lubricant go bad from just sitting idle, but it also may be exposed to vibration from nearby equipment. Depending on the oil or grease in use, the lubricant can drain back down to the reservoir, leaving internal surfaces unprotected. Exposed surfaces can lead to a number of problems such as rust. One plan of action would be for operations to implement preventive maintenance (PM) or for the maintenance team to switch these redundant systems on a weekly or monthly basis. This would allow for more even distribution of the wear-and-tear between the two pieces of equipment and build reliability into the system by utilizing both pieces of equipment equally. In this scenario, the back-up or standby equipment would now play a vital role in operations, and PMs that are part of the equipment’s operating state can be performed. Another course of action would be to routinely test the standby equipment for proper operation. Applications such as fire-protection equipment would fall into this category. A monthly test should be conducted on the equipment for a period of time to verify that all operating parameters are maintained. Bringing the equipment up to operating conditions will enable any contaminants such as water or particles to be circulated through the system and caught by filters or flashed off due to evaporation. Of course, not all lubricants are created equal. Better performing oils and greases can also be used to protect your standby equipment. Premium base stocks and advanced additives can help support longer idle times. Although the cost of these types of lubricants can be as much as 10 times that of oils or greases used for other equipment in the plant, knowing that the standby equipment will perform at the flip of a switch when needed may well be worth the extra cost. So, while standby equipment can be difficult to maintain from a reliability standpoint, especially those machines that are expected to serve the same purpose as their in-service counterparts, employing a proper maintenance strategy and PMs can ensure that these critical spares are up for the task at hand in a time of crisis.